IPL is an increasingly popular cosmetic treatment, which uses pulses of filtered light to achieve a variety of different effects, by targeting specific parts of the skin. Because of the versatility of the light filters, IPL can be used to treat many different skin concerns. IPL is excellent for treating acne, pigmentation, sun damage, thread veins and other vascular lesions. It is also a popular hair removal method, and it can be used to help reduce scarring too. IPL is also a great anti-ageing treatment. 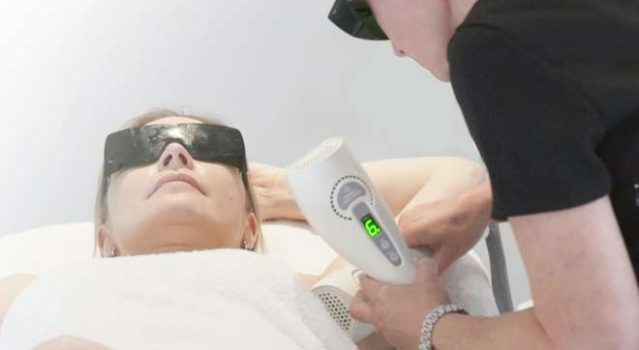 For each of these skin concerns, IPL targets a different structure within the skin – in the case of hair removal, it is the hair follicle, for pigmentation, IPL targets the unwanted melanin, and for anti-ageing and scarring, IPL stimulates collagen production. In the cases of pigmentation and vascular lesions, the pulses of light heat up the specific structures that cause the imperfections, without heating the rest of the skin. This heat causes damage to the structure, and this alerts the body to remove it, using its own, natural, healing response. For pigmentation, the body flushes away the unwanted melanin pigment, leaving behind your natural skin tone, while for vascular lesions; it’s the broken blood vessels. In the case of hair removal, IPL permanently inhibits the hair follicle’s ability to produce hair, and for acne, it reduces the activity of the oil glands, allowing the skin to regain balance and letting the pores unclog. As for scarring and anti-ageing, IPL tricks the body into thinking the skin has been damaged; this stimulates collagen production, leading to wrinkles and pitted scars being replaced with plumped, smooth skin. IPL feels a bit like your skin is being lightly flicked with an elastic band. 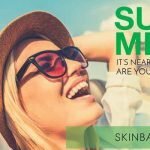 SkinBase IPL handsets use unique cryo-cooling technology to cool the skin and reduce sensitivity before the treatment – this helps to make it far more comfortable than traditional light-based treatments. This depends on what you are being treated for – if you are having IPL for acne, you may only need 1-3 treatments, whereas if you’re having it for hair removal you’ll generally need between 6-10. Your therapist will work out a treatment plan with you before you begin. How do I prepare for IPL treatment? The most important thing to make sure you do before IPL is to start protecting your skin from the sun. Use SPF 30 every day for at least a month before treatment, and continue to use it every day during, and after treatment too. You should also make sure you aren’t using any skincare with Vitamin A, or Retinol in it for at least 60 days before treatment, as this ingredient has a photosensitising effect and can also make your skin extremely reactive. Your therapist will be able to go over the more in-depth requirements for IPL treatment, to make sure that it’s the right treatment for you, and ensure that you know exactly how to care for your skin to get the best possible effects.